She's turning into a budding photographer. I saw the cutest digital cameras for kids. Maybe she'll be interested in a camera of her own. She does better than some adults! 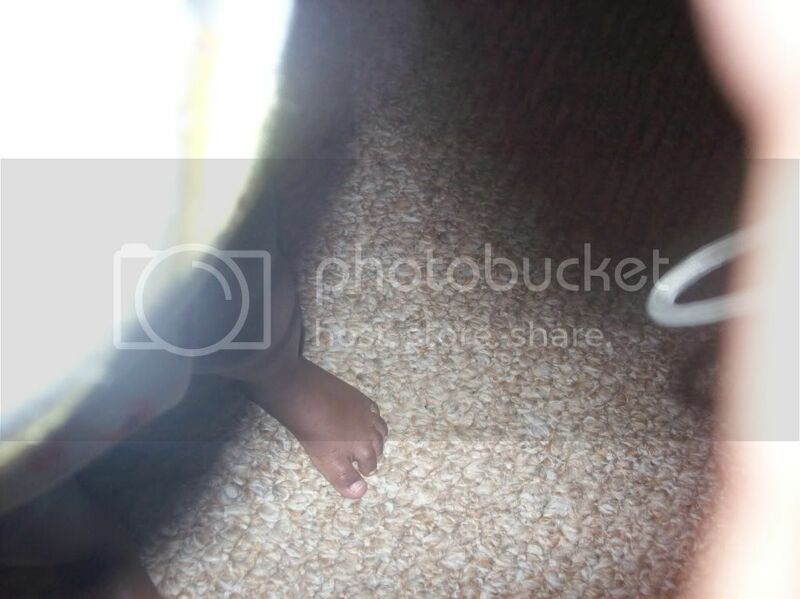 At least her foot is actually in focus and how can anyone not just love those tiny little toes!!! I'm looking at those cute little toes. We brought my daughter a camera for her bday. Its a tough camera & made for them to drop without breaking. I so bad forgot the name but I put a review up on my blog. That is one sweet little foot! My son got a digital camera for his birthday believe it or not. Digital camera for a three year old - at this rate he'll be asking for a laptop for his fifth birthday. it was a generous gift from one of his aunts.